Enjoy more of your time at home with this electric motion sofa. Nailhead trim along the edges of the arms, paired with the sleek appearance of this sofa create transitional appeal that is perfect for those looking to update their style. 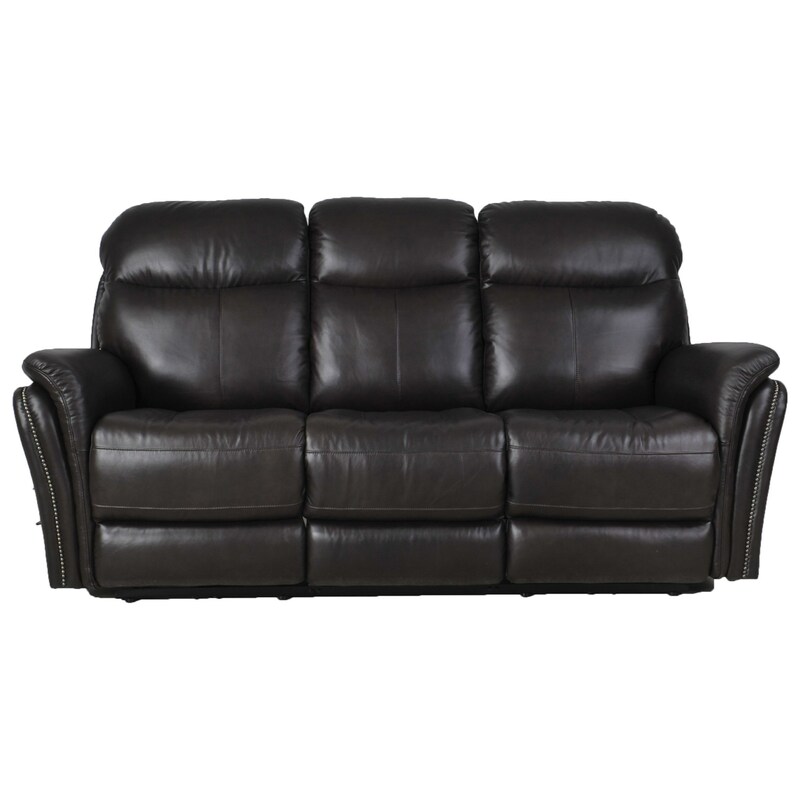 Power reclining mechanisms in the arm seats of this sofa put you in control of impressive positioning, making it easy to get into the most comforting position possible. The E1309 Transitional Electric Motion Sofa with Pillow Arms by Futura Leather at Zak's Home in the Tri-Cities, Johnson City, Tennessee area. Product availability may vary. Contact us for the most current availability on this product.